So Friggin scary. This weekend I did precious little sewing. But I thought it would be extra smart of me to prewash my orange dress fabric and linings so that I could get a jumpstart on them as soon as mistress green is hemmed. Now, I'm aware that my fabric is some sort of synthetic. And I'm also aware that the manufacturer's instructions would most likely read "dry clean only." But I am a brave soul apparently, and threw my 5.75 yds into the washer on cold-cold permanent press cycle (I guess that actually qualifies as sorta brave, and sorta wimpy). 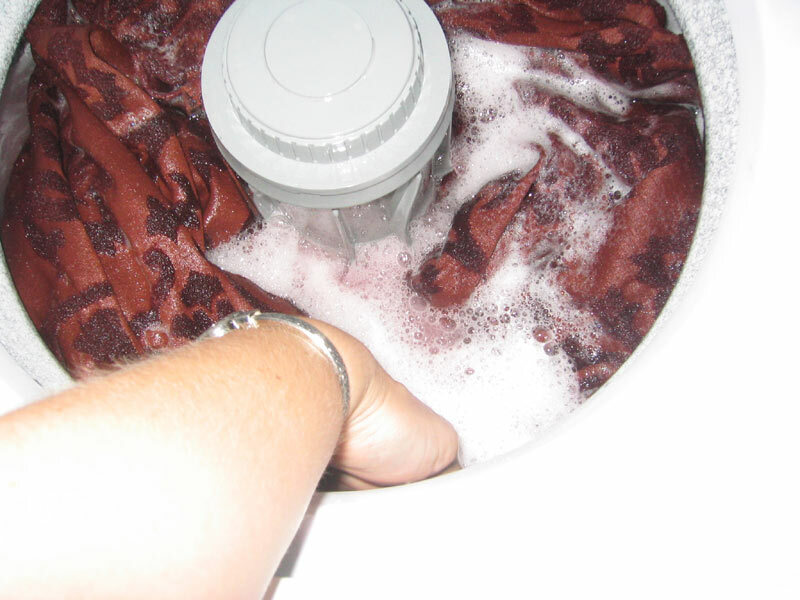 Imagine my horror when nervous me peeked into the washer to find the water and frothy suds PINK. TWELVE!!!! washes later (some with and some without soap, some with massive amounts of salt cuz I read that helps set the dye), and the water was ALMOST clear. I figured I should stop tapping our nation's limited water resources for something as "trivial" as preserving my camica and corset in their white and beige-ness, respectively. 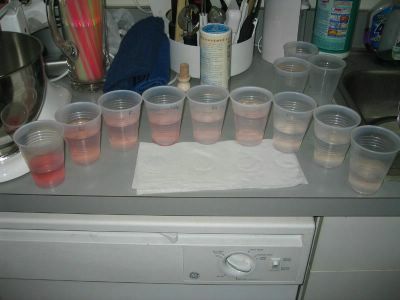 Here is my not-so-fun science experiment. The last cup is still tinged, but hell, its good enough. water samples--I took one at the rinse cycle of most of my washes, except for the ones where i missed it or left if unattended (hey, a girl's got to get out on the weekends). SIGH, the stress (and dress) was oozing. Poor hubby. However, I'm glad to report that my fabric came out looking close to normal--a tad faded, and a tad less fuzzy int he velvet parts, and the lint all over it to explain why. Its 5 3/4 yardage is currently spread over my ironing board, clothes drying rack and a chair hang drying. I was DEFINITELY not risking dryer-related stress. I'm so tempted to dub this a dry-clean only dress once finished. It will need some major lint removal when its dry. Luckily I am well-prepared for lint removal as a result of the fru-fru-fluffy girly-man doggie. And, for a non-stressful story: the only sewing I did this weekend, despite best intentions. Rings on my straps for to tie on my sleeves. Huzzah. I actually was motivated enough to mark all over my petticoat for additionaly cording, but i was a dolt and used the "disappearing" side of my fabric pen. 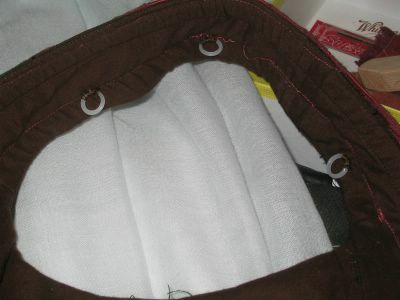 So by the next morning when my sewing time came round, my work had abandoned me. Doh! Ack!!! How alarming. You get extra credit and a cookie for washing it twelve times, though, holy cow. My personal non-scientific observation has been that red colors tend to leach dye the longest. Or the fastest, depending on how you look at it. Take my hair for instance....or let's not really.